We’re connecting the dots and creating the book bonds. Now you can easily find new books from your favorite literary genre. No more blind book dates with free ebooks. 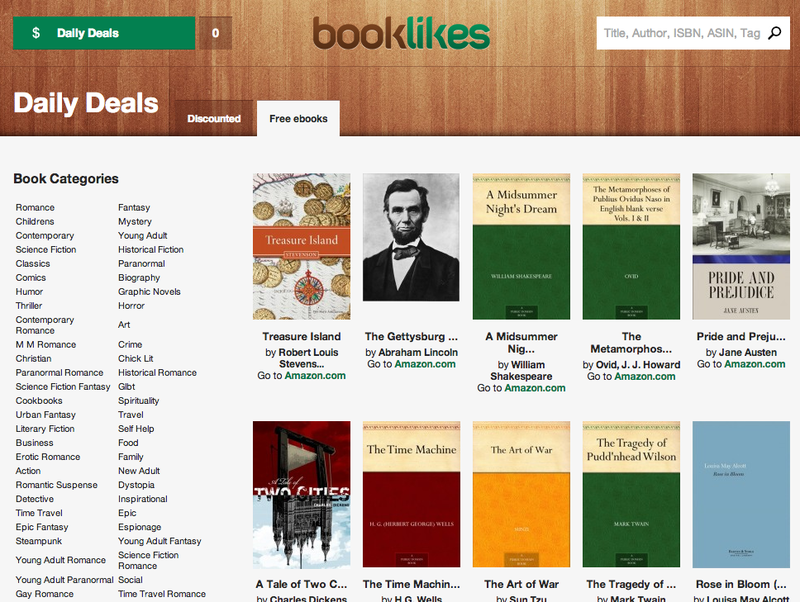 BookLikes’ recent release Free ebooks in the Daily Deals section has just received a list of categories. You can search the Kindle ebooks via literary genres and pick those which match your reading preference. The book pages has also received the information about the literary genres. Thanks to the new list with book categories you can find other titles from the literary genre that you enjoy. When you click on the book category you'll be moved to the Book Catalog where you can discover new releases, most recent reviews and popular books from the chosen genre. Reading tastes the best when you can share it with others. To find your friend on BookLikes, connect your social media in the Friends tab. You can also search BookLikes community with an email, blog name and username. BookLikes is open for Authors! If you have already requested the Official Author's Profile during the registration process, we'll get back to you with information for BookLikes Authors as soon as possible.